HOUDINI LIVES! a novel by Adam Steinfeld (left) and New England crime novelist, Al Blanchard (right). MIAMI BEACH. 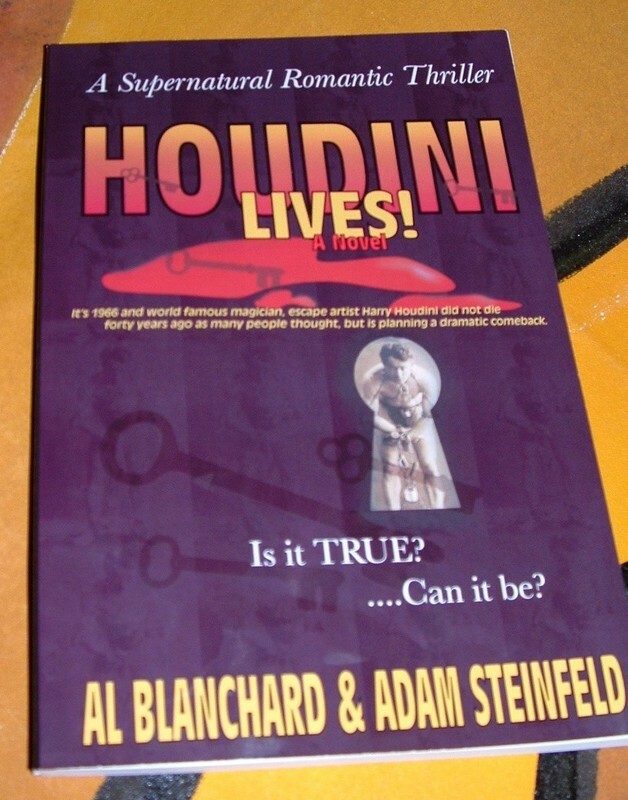 It's 1966 and world famous magician, escape artist, Harry Houdini did NOT die forty years ago as many people thought, he's been in hiding from his political enemies and is planning a dramatic comeback. read the book before you see the movie, that's sure to follow!